With the new 3% SDLT surcharge on purchase of additional residential properties coming into effect on 1 April 2016, publication of the draft legislation and accompanying HMRC guidance with the Chancellor’s Budget on 16 March 2016 was welcome. Following the Government’s consultation on the new rules, some of the original policy design has changed; whilst the greater detail now available provides more clarity on a number of points, other areas remain unclear. With less than a fortnight between publication of the draft legislation and the new rules coming into force advisers have only limited time to review this complex legislation. Operation of the new higher rates is complicated and there are many traps; early advice is recommended fully to understand the SDLT liability. This briefing is based on the draft legislation (which could be subject to further refinement or amendment as it passes through Parliament) and HMRC’s accompanying guidance. An individual owning more than one residential property is outside the higher rates on replacing their main residence. A three year period is allowed for sale of a previous main residence where the replacement has already been purchased (extended from 18 months under the original proposal). 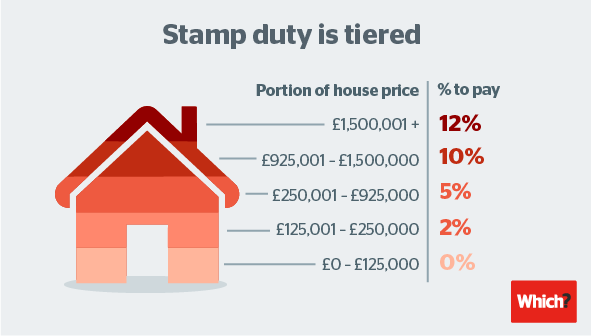 However, the purchaser will have to pay the 3% surcharge in the first instance and then reclaim it from HMRC following sale of the previous main residence. A three year period is allowed for purchase of a replacement property where the original main residence has already been sold (extended from 18 months under the original proposal). If a main residence was sold before 25 November 2015 (the date of the Chancellor’s Autumn Statement) the three years for purchase of a replacement runs from that date, not from the date of sale. Joint purchasers are subject to the new higher rate on the full purchase price, even where only one of them already owns a property, with no apportionment for the ‘first time buyer’. Married couples who are living separately in certain circumstances will not be treated as one unit for the purpose of the rules. Property which an individual owns anywhere in the world is taken into account in determining whether the new higher rates apply, but property already held in a company is ignored. No relief for large scale or portfolio investors (despite being suggested in the consultation document). Multiple dwellings relief remains available, subject to the new higher rates. If six or more properties are purchased in a single transaction the non-residential SDLT rates apply unless multiple dwellings relief is claimed. The top rate of SDLT for non –residential and mixed use property is increased from 4% to 5%. We will publish more news on this later in the week.